Steven J. Davis studies business dynamics, hiring practices, job loss, the effects of economic uncertainty and other topics. His research appears in the American Economic Review, Journal of Political Economy, Quarterly Journal of Economics and other leading scholarly journals. He is a senior fellow at the Hoover Institution, research associate of the National Bureau of Economic Research, senior academic fellow with the Asian Bureau of Finance and Economic Research, advisor to the U.S. Congressional Budget Office, visiting scholar at the Federal Reserve Bank of Atlanta, senior adviser to the Brookings Papers on Economic Activity, and past editor of the American Economic Journal: Macroeconomics. He is also an elected fellow of the Society of Labor Economists. 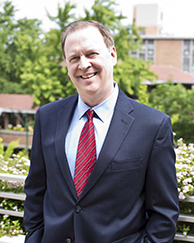 His teaching experience includes Ph.D. courses in macroeconomics and labor economics at the University of Chicago, the Massachusetts Institute of Technology, and the University of Maryland; MBA courses in macroeconomics, money and banking, business strategy, and financial institutions for Chicago Booth; and executive MBA courses in macroeconomics for Chicago Booth in Barcelona, London, and Singapore. Davis has also taught undergraduate courses in microeconomics, econometrics, and money and banking at Brown University and the Massachusetts Institute of Technology. In commercial consulting activities, Davis has developed new labor market indicators, advised a leading financial institution on its capital planning decisions and the macroeconomic outlook, and consulted and testified as an expert witness in many litigation matters. In antitrust matters, he has testified and consulted on market definition, dominance, competitive relationships, exclusionary practices, price discrimination and collusive conduct. In mortgage lending and consumer finance matters, he has testified and consulted on class certification, liability and damages. He has also offered testimony and analysis on damages in breach of contract, credit market discrimination, and other issues. Engagements include matters involving auto loans and leases, containerboard and corrugated products, microprocessors, mortgage loans, pharmaceuticals, software products and markets, trade shows, viatical and life settlements, and workers’ compensation insurance. Davis has written for the Atlantic, Bloomberg View, Financial Times, Forbes, Los Angeles Times, Wall Street Journal and other popular media. He has appeared on Bloomberg TV, Channel News Asia, CNBC, CNN, Fox News, NBC Network News, and the U.S. Public Broadcasting System, among others. With J. Haltiwanger and S. Schuh, Job Creation and Destruction (MIT Press, 1996). With O. Attanasio, "Relative Wage Movements and the Distribution of Consumption," Journal of Political Economy (1996). With J. Faberman and J. Haltiwanger, “The Establishment-Level Behavior of Vacancies and Hiring,” Quarterly Journal of Economics, April 2013. With others, “Private Equity, Jobs, and Productivity,” American Economic Review, December 2014. With S. Baker and N. Bloom, “Measuring Economic Policy Uncertainty,” Quarterly Journal of Economics, forthcoming. What’s holding back the US economy?